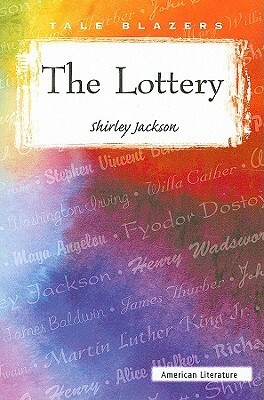 Shirley Jackson’s The Lottery is a memorable and terrifying masterpiece, fueled by a tension that creeps up on you slowly without any clear indication of why. This is just a townful of people, after all, choosing their numbers for the annual lottery. What’s there to be scared of? Wow! How can a mere 12 pages pack such a haunting, terrifying punch? I can’t believe I haven’t read this sooner. Jackson sets up a bucolic day on which a small town of 300 are assembling together. Once everyone arrives, they commence with the lottery, done every year on the same date in the same way. Jackson then drops a bomb on the reader by shifting from benign to horrifying in a matter of a couple sentences. I’d love to go into more detail, and the ending has made me think a lot about society, authority, order, and so on, but just in case I’m not the very last person to read it I’ll stop here! A brilliant teeny tiny short story, readable in 20 minutes. Read on June 20, 2015. This entry was posted in books and tagged classics, dystopia, fiction, horror, short stories and essays, society by kristin @ my little heart melodies. Bookmark the permalink.